These gold coated magnetic nanoparticles are uniques throughout the world. They are functionalized by COOH-PEG 3000 Da or COOH-PEG500 Da. Nitmagold nanoparticles add new proppierties (inerts, protection of magnetic core agains oxidation, optical properties). 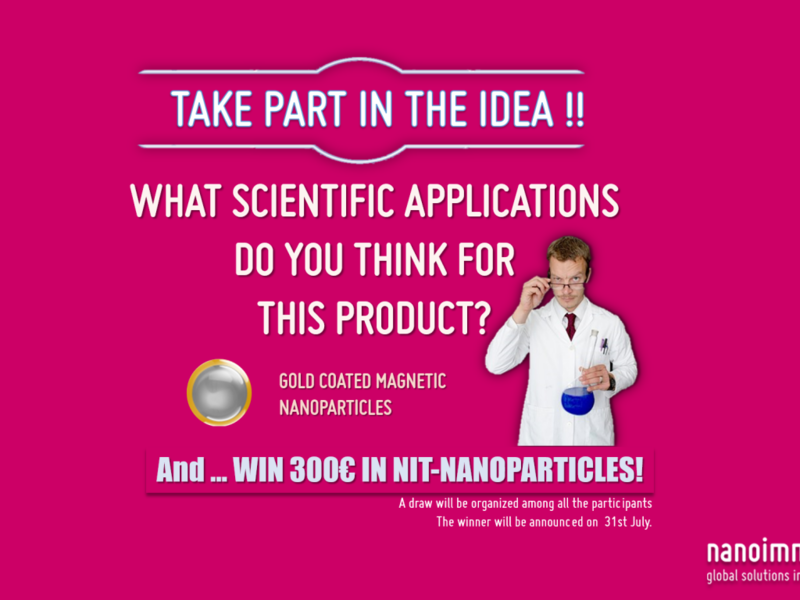 Submit your answer to info @nanoimmunotech.es and participate in the contest. The winner will be announced on 31st of July. Try it and best of luck! !